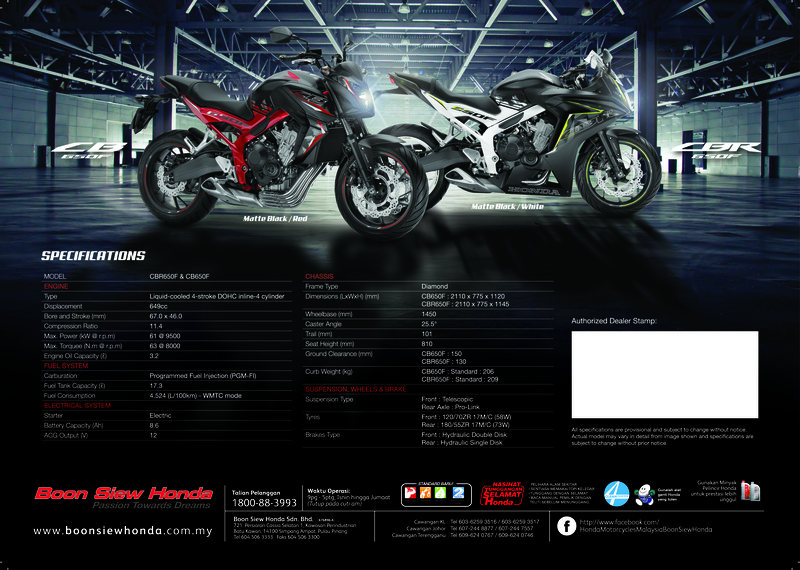 Penang, 17 January 2017 – Boon Siew Honda announces the special colors of CB650F and CBR650F which come with premium look. Since its global introduction, the four-cylinder middleweight machines received great responses from the big bike riders. 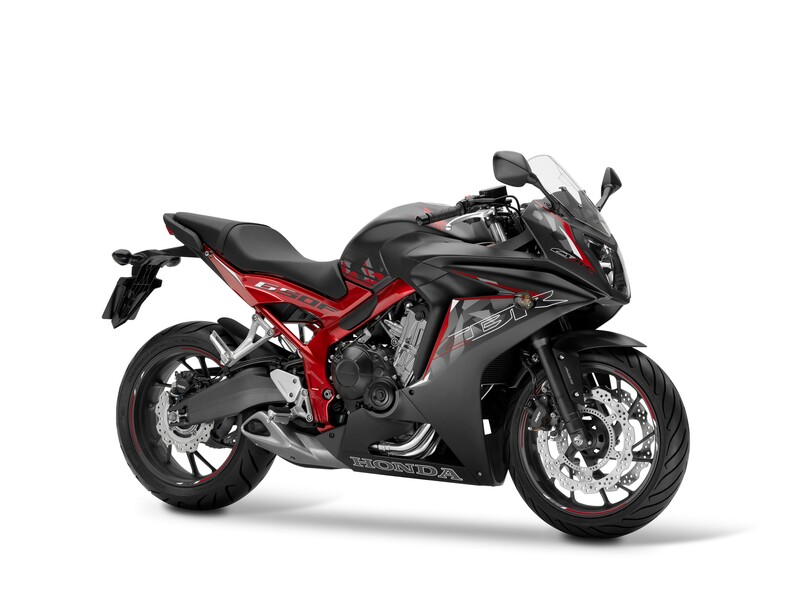 Today, the four-cylinder middleweight machines are proudly introduced in Malaysia under the same mixture of special colors – Matte Black with Red Chassis and Matte Black with White Chassis. 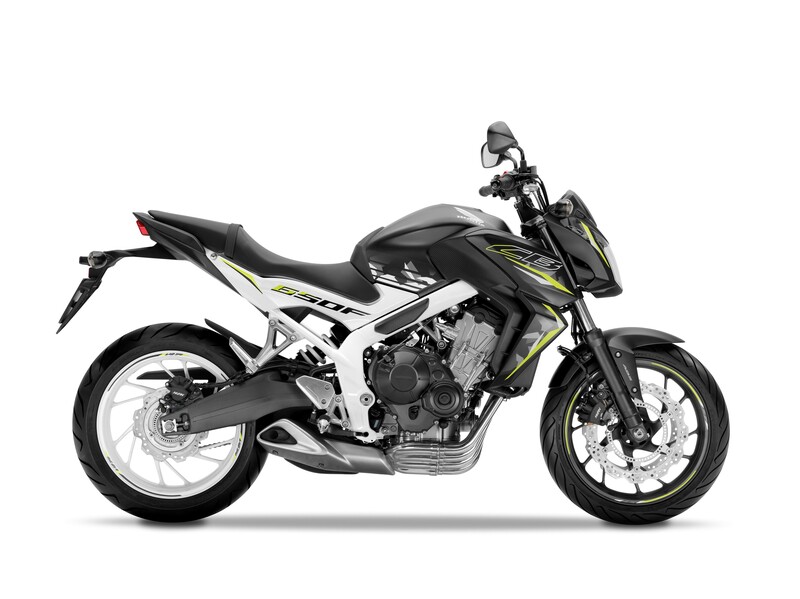 The addition of special color design is aimed to catch the big bike lovers’ eyes for those who planned to upgrade their machine or to get affordable middleweight machines with four-cylinder specification.Both models come with digital speedometer, digital bar graph technology, dual trip meter, digital bar graph fuel gauge, digital clock, HISS security system and LED taillight.